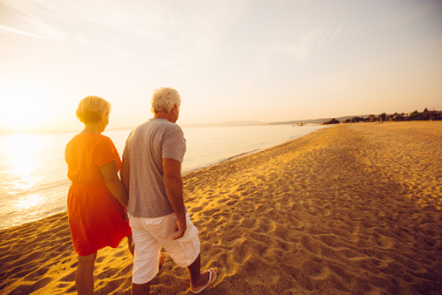 Whatever your plans for retirement may be, you have a valuable tool at your fingertips to help you prepare financially for what could be the most rewarding part of your life. This tool is your retirement plan. We will devise specific and customized strategies based on your long-term financial goals. This will be done by developing a comprehensive financial analysis that illustrates where your current path leads and the steps necessary to walk a different path towards the achievement of your goals. We will coordinate your financial matters with existing advisors to help ensure that the entire advisory team is working towards your goals. We consider the interplay between investment strategy, income taxes, estate planning, retirement cashflow needs, risk management (insurance), and income management (compensation and benefits) in our planning process to ensure coordinated strategies are employed. Our goal is to be your most trusted advisors - integrally involved in all of your financial affairs and the first call you make when considering a financial transaction. We approach planning with the purpose of devising and implementing goal-oriented strategies that add value to your financial well-being. Planning will be focused around face-to-face interactive meetings driven by your long-term goals and immediate concerns. We will proactively bring ideas and concepts to you for consideration. We will take the initiative to coordinate with the appropriate professionals to implement each strategy agreed upon. We realize that "planning" brings little, if any value if not ultimately acted upon. We will not deliver "a plan" and leave it up to you to take action. Rather, we will develop a lifelong relationship based on the concept that financial planning is a continuing and evolving value added process, not a one time "transaction".